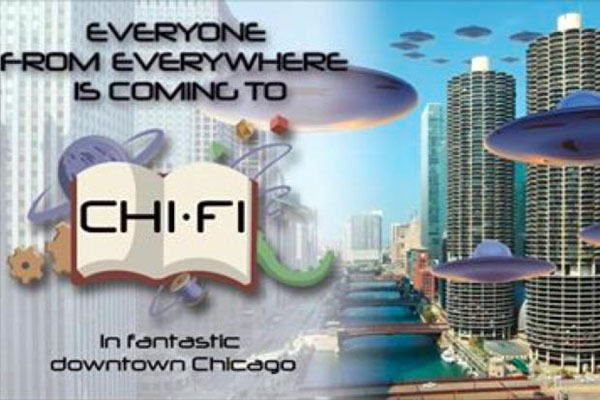 If you’re thinking about coming to Chi-Fi 0 at the Palmer House Hilton on Saturday, March 29, I’ll be participating on two panels and even doing a bit of performing. I’m excited for these discussions with some old friends and hopefully some new ones! Is this an ambitious plan for the day? Probably, but that’s what chocolate covered espresso beans chased with a venti coffee are for. Just don’t expect me to be useful in any way the day after, I plan on sleeping until I can’t ignore my cats jumping on my head anymore. This moderated panel will discuss what “diversity” in geek culture means, what it looks like, and why it’s necessary. The panelists will re-examine just how “welcoming” geek spaces are by looking at issues such as inclusion vs. tokenism, representation, stereotypes and talking about what has worked (and what hasn’t) in creating thriving geek communities. Anne Petersen is a board member of the Chicago Nerd Social Club and co-hosts CNSC’s book club. She also served as 2011 president of Pumping Station: One, Chicago’s largest and oldest makerspace. A digital strategist and photographer by day, she also writes for live lit events like Story Club South Side and playtests for local game designers. 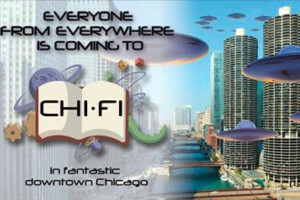 Jeff Smith is the co-founder of the Chicago Nerd Social Club and currently serves as the group’s president. Jeff counts comic books, role-playing games, programming and photography among his nerd badges. Jeff is also the host of the CNSC Podcast. When he’s not running CNSC events you can find himon Twitter as @DarkAndNerdy. If the stars align, you may even see an occasional post at AllThingsDork.com. Kieran Strange is a dynamic young artist blending pop sensibilities, edgy guitars and synthesized electronic sounds into her own personal brand of British nerd-rock. When she isn’t rocking the stage, solo or with her band, Kieran can usually be found up to her elbows in fabric and latex weaponry, enjoying her hobbies of crafting and costuming. Kieran also owns and co-operates her own micro record label, Dangerous Pastry Records, based in Vancouver, Canada. David Zoltan is the Fleet Admiral of Geek Bar Chicago, opening this spring in Lincoln Park. Zoltan is now officially a serial geek entrepreneur, having run a tabletop gaming store in Detroit before selling it to move to Chicago. He was the organizer and curator of TEDxMichiganAve, an independently-organized TED event that focused on the future of the arts industry. Zoltan is currently also the head organizer of Chicago Game Lovers, Chicagoland’s largest tabletop gaming organization. This moderated panel will delve into how con harassment policies work by deconstructing what good policies are meant to do, as well as how to properly implement policies and follow them through. The panelists will also discuss the progression of cons adopting policies, and how people can educate others about anti-harassment policies, looking at examples of some successes (and failures). Thomas Glen (moderator) is the President of ValorCon, Chicago’s newest (and only) video and tabletop gaming convention. He also maintains ChiGeeks.com, a listing of Chicago-area geeky activities, shops, and social groups. His superpower is keeping up with his 4-year old son without passing out. Too much. “Set phasers to stunning” – The Daily Mail (UK). What happens when you allow professional bellydancers and fire spinners* to do justice to their favorite geek subjects? You send a Youtube video viral and break the internet’s brain with a Wookiee bellydancing to a Klingon band performing an original song in Shyriiwook. *Sadly, no fire because this will be indoors at the Hilton, but this is why black light canons and LED flow toys were invented. This entry was posted in Cons, Event, Fire/Flow, Panel, Performance and tagged anti-harassment policies, bellydance, Chi-Fi, con harassment, diversity, entertainment, flow art, geek culture, panels, performance, Raks Geek by Michi Trota. Bookmark the permalink.